The Rev. P. Gnanakumar visits with his church members in Eila, Sri Lanka, following tea and prayer in January. “I love these people,” explained Gnanakumar as he reflected on why he visits every family in his church at least once a week. His simple and powerful response echoes the motivation that has driven this mission work for more than 15 years. 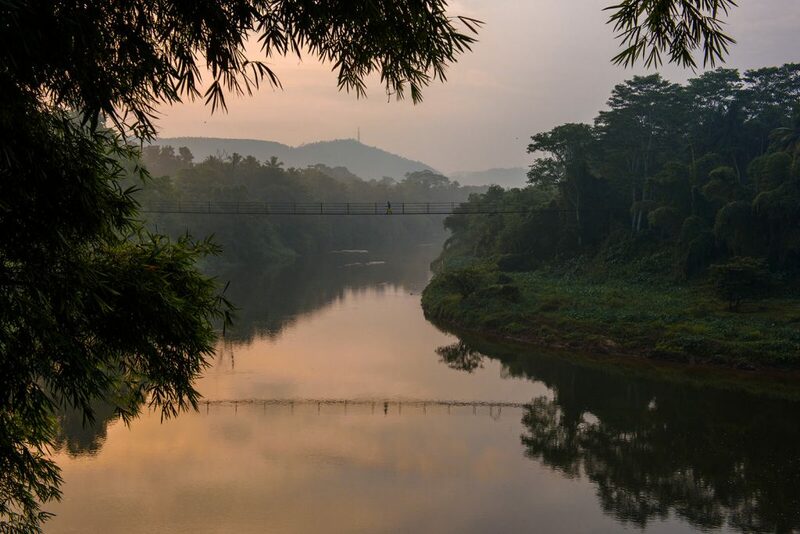 Gnanakumar serves in Eila, a rubber-tree plantation community in the center of the island. 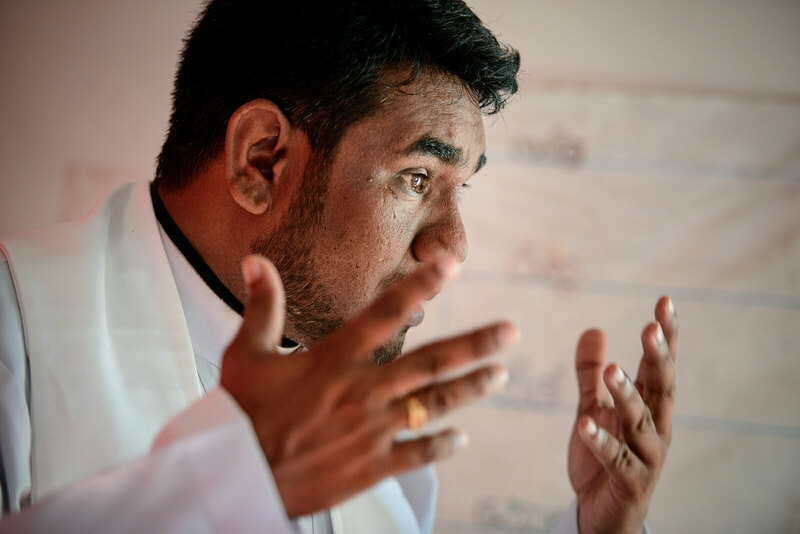 He previously served as vicar there and was ordained Sept. 2, 2017 — the first pastor ordained in Sri Lanka in over a decade. Gnanakumar visits church members. He helps persecuted Christians. He reaches out to non-believers. He encounters people who have never heard of Jesus before. And he tells them all the Good News about Jesus Christ. Sri Lanka is warm in weather and hospitality. 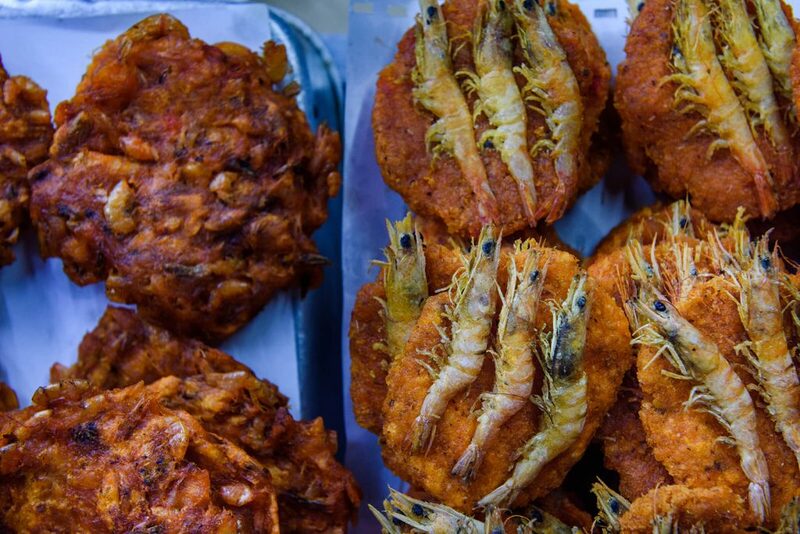 The food is warm — even spicy. And the ubiquitous tea from the colder highlands warms and sweetens everyone, while offering cooling refreshment. From stacks of teapots in stores to daily breaks, tea is important. 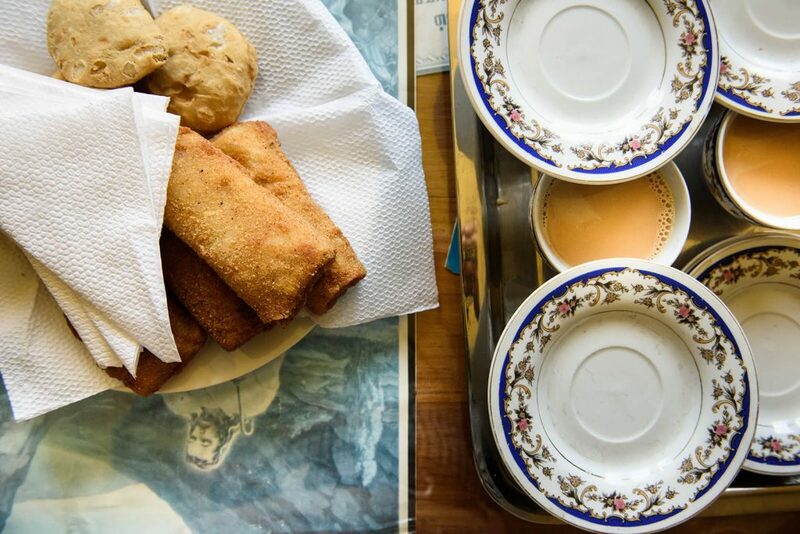 Visitors are welcomed with a cup of sweetened hot tea and a savory doughnut called vade. Their homes may consist of only one or two rooms, but those are meticulously tidy. And the tea is served on fine china. Gnanakumar learned to teach the pure Gospel thanks to theological education he received through the LCMS mission, the Ceylon Evangelical Lutheran Church, in Sri Lanka. Naumann teaches Lutheran theology to pre-seminary and seminary students. 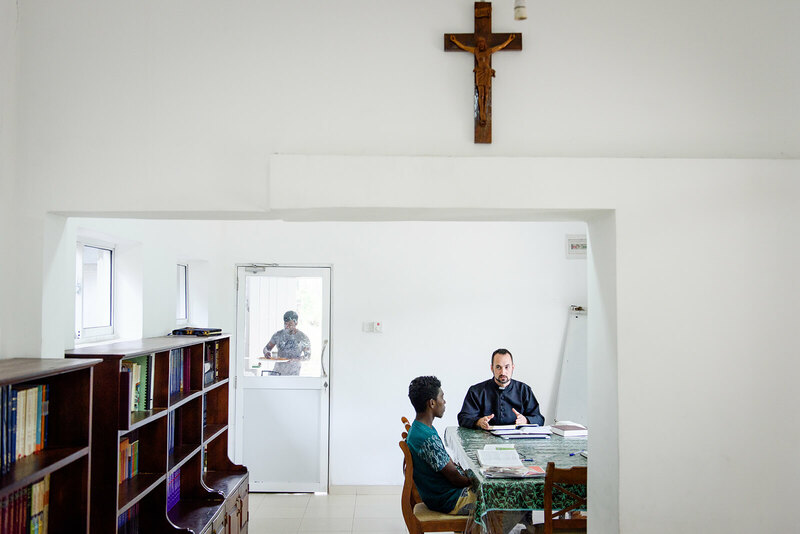 The small house that hosts Immanuel Lutheran Church, Colombo, also serves as a lecture space for seminary and pre-seminary classes. This theological perspective is important in Sri Lanka, where people are primarily Buddhist or Hindu. Though there are Roman Catholic and Protestant missions, the culture is overwhelmingly influenced by Hindu and Buddhist worldviews and traditions. 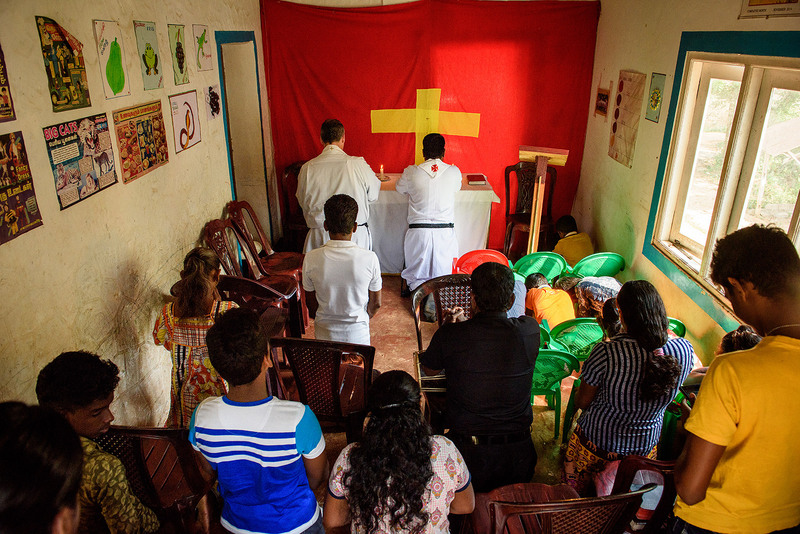 The Lutherans in Sri Lanka have worked tirelessly to bring the Gospel to the people there, but not as something that belongs to Americans or any other national group. The Gospel is Good News for them. The Rev. Dr. Edward Naumann, LCMS career missionary and theological educator to South Asia, teaches pre-seminary students at Immanuel Lutheran Church in Colombo. Gnanakumar was once one of these students. Yet, the Gospel is not always welcome in a country in which some 93 percent of the people are not Christian. Though the country as a whole does not outwardly persecute Christians, many families will ostracize members who confess Christ. One family who attends the Lutheran church has suffered persecution for their faith in the last year and a half since becoming Christians. This faithful family now lives in a one-room house barely larger than a queen-sized mattress. They lean their bed against the wall during the day so that they have floor space. The small living quarters are not due to poverty. This is the only place they are allowed to live after being shunned for their faith. And yet the Gospel compels them to believe and to rise for worship each week. The Good News of Jesus continues to change lives and to bless. And the name of Jesus continues to bring with it persecution and struggle. So it has always been. So it will be until we are all united in His eternal Kingdom. A young Lutheran prays during a home visit in Eila. 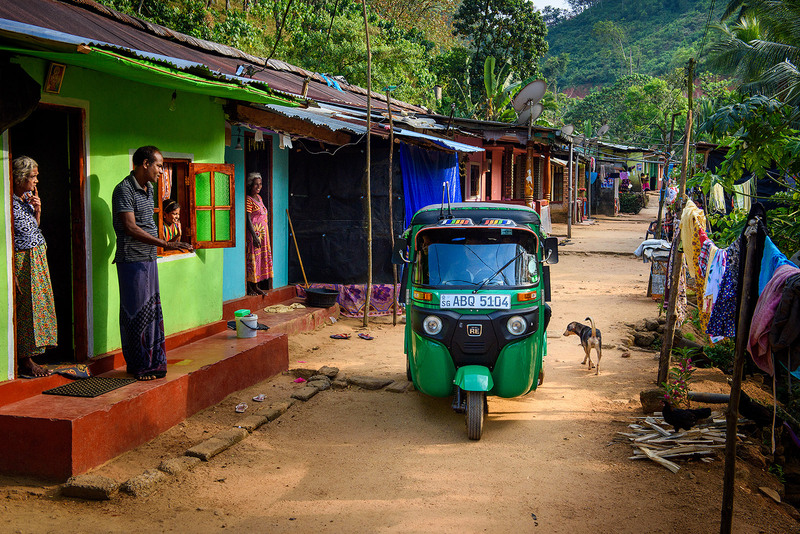 Into this house and the houses of all his members, Gnanakumar walks each week to share with them the Gospel and to listen to their needs. Each week, he visits every member. Gnanakumar’s success, under the tutelage of Naumann and the Rev. 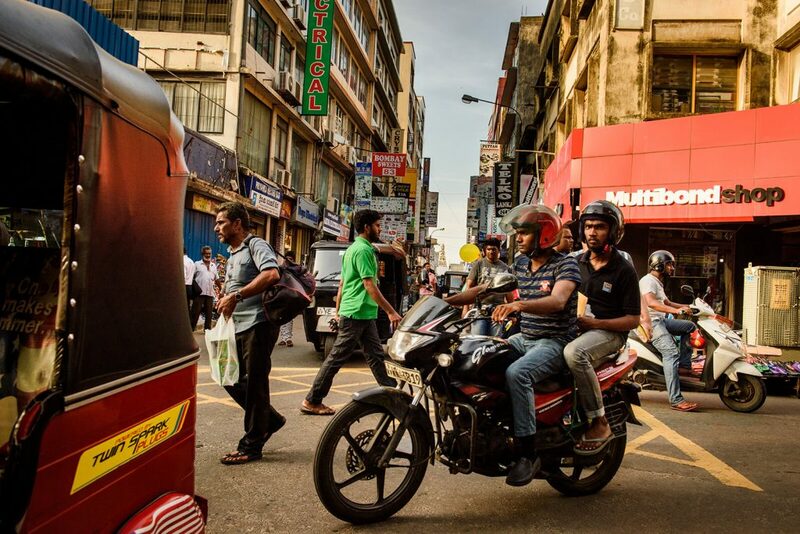 Roger James, South Asia area director and missionary to Sri Lanka, provides encouragement as they continue work to build a church body in Sri Lanka centered on the Gospel of Jesus Christ. 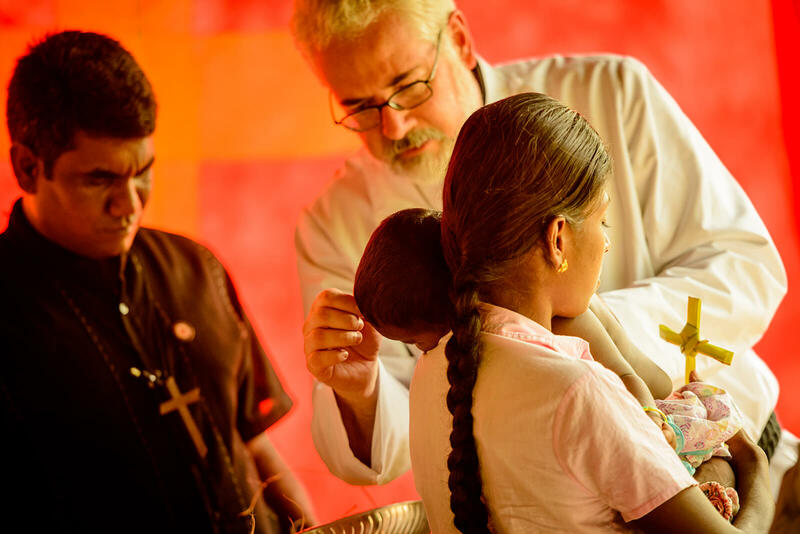 During his studies, Gnanakumar (left) also learned from LCMS Area Director and Missionary Rev. Roger James. Here James blesses a child after worship on Palm Sunday 2016. A robust theological education provides training for men to confront the competing worldviews and philosophies present in the country. Lutherans here also supported the formation of Ceylon Evangelical Lutheran Publishing House, which will provide ongoing theological education resources to open the door for future Sri Lankan Lutheran pastors. Gnanakumar preaches the Word of God during a worship service (also seen below) in Eila in January 2018. God’s Word in Sri Lanka is bearing fruit, and the LCMS is working to continue this through pastoral formation and theological education. The people of Sri Lanka need the Gospel, and Lutherans are there to proclaim it and train future pastors to bring God’s love to them. The harvest is plentiful, and so You, O Christ, send Your servants into the field to gather people into Your Holy Church. We thank You for Pastor Gnanakumar, who proclaims Your saving Word and administers Your Sacraments to the people in Eila. Watch over him as he carries Your love to those who don’t know You and ministers to those who confess Your name. 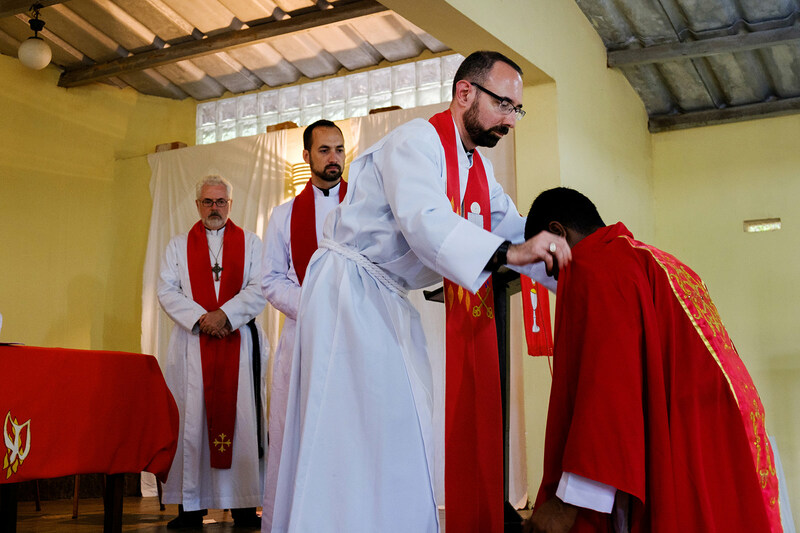 Continue to work through the theological education provided by the LCMS missionaries in Sri Lanka, that many more pastors may bear the cross of Christ to the people for whom He died. In Your holy name we pray, O Jesus. Amen. Erik M. Lunsford | Managing photojournalist for LCMS Communications. Dr. Kevin Armbrust | Manager of Editorial Services for LCMS Communications.